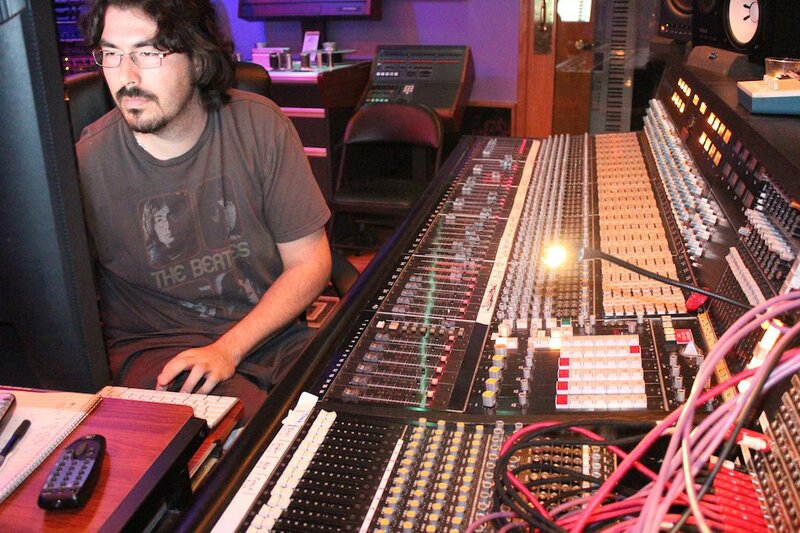 Greg Wurth is Grammy-Nominated Engineer and Producer. The son of parents who weaned him on Beatles and Led Zeppelin records, he grew to appreciate their sound at an early age. His credits range from Steve Vai and Tony MacAlpine to Tracii Guns to Jim Florentine & Don Jamieson, 2Cellos and Mary J. Blige. He has been Steve Vai’s engineer for 10 years. A lot of his time is spent in the “Harmony Hut” studio in Encino, CA where they currently do all of Vai’s projects. Tell me about your journey. Were you a kid at school thinking "one day I want to be a sound engineer" or were you in bands? 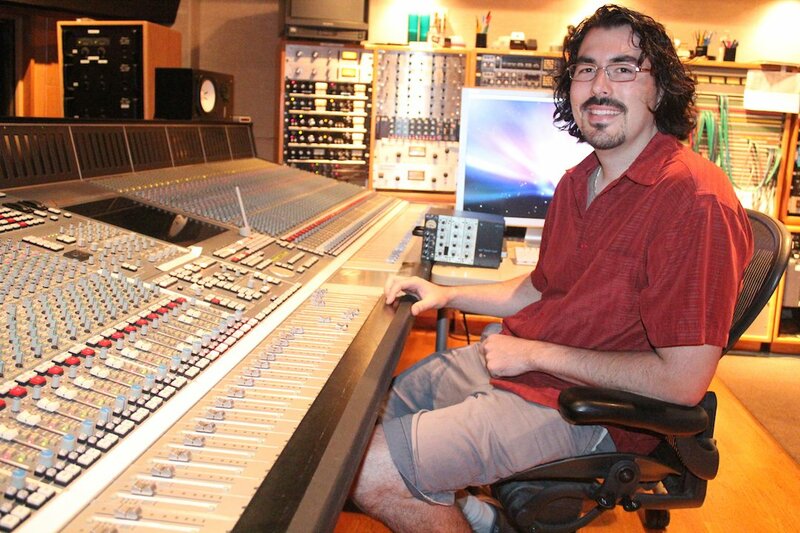 How did you end up being a sound engineer for a guy like Steve Vai? I kind of just stumbled into it. I was always a fan of music. As a young kid we had a record-player and my parents had a bunch of Beatles and Led Zeppelin and Michael Jackson records, and I just became very fond of those musicians. The Beatles were one of my top bands, even still to this day. I was always curious about the sounds and when I was about 12 or so I decided that I wanted to play guitar. At that point I wanted to play Led Zeppelin stuff so I started learning guitar, I started realising you can record this stuff on multi-track machines. I think my first recorder was the cassette version Portastudio and then a digital Boss recorder whenever it came out. But playing guitar was not a natural thing, it was like I loved music but it wasn't like I could just close my eyes and play these inspired melodies or write these songs. So it was more perspiration than inspiration? Yeah! But I really loved bands, like Rage Against the Machine, Tool, The Deftones, that's the kind of stuff I was listening to in high school, and I just wanted to do that, but I didn't have a place. It was when I got to college that I started realising that engineering was something I was interested in. I was also listening to reggae and things like that, and that particularly kind of shot me into understanding what mixing was, because King Tubby was this engineer in Jamaica who used to build his own equipment, he was really using the console as an instrument and that was really the first time I really recognised that an engineer had this special job and that you could be creative in that way. It wasn't just press record and the band sounds exactly how it is, I realised that the engineer is heavily involved in making it sound that way. So that was what I wanted to do and I immediately found a school in L.A. that specialised in engineering and they had job placement programmes. They helped out with internships so I made the jump to go to L.A. and that's how I started. You've had quite a long career with Steve. I think I counted 15 or 16 albums that you've worked on with him. You've done other stuff of course, like Mary J. Blige and other acts, but you've really been committed to this thing with Steve. How did that come about? I owe a lot to Steve because he helped me launch my career. Without him, I wouldn't be where I'm at, and I still work with him very closely. Back to when I was at the audio school, I was taking internships and there was one studio called ‘Scream Studios’ which is no longer around. I was an intern there and I was sitting in, and they did a lot of great stuff there. One engineer there (his name was Neil Citron), he was mixing and I just met him, saw me looking at a Sweetwater magazine, and we started talking about microphones, and I found out that he worked with Steve Vai. I didn't really know who Steve was; I just knew that he was a guitar player, but I wasn't familiar with his work. A few months later, I finished school and was looking for work as an assistant engineer because in my mind that was the goal, just become an assistant and work my way up. Coincidentally, Neil Citron had called in to the job placement office and he was looking for an assistant, and that was right at the very time that I was waiting in line to talk to my counselor at the school. He was like "we've got this guy looking for an assistant and it'd be perfect for you", and it just so happened that I'd already met Neil, so me getting that job just happened easily. So I worked with Neil at The Mothership and I eventually I started working closely with Steve. Steve needed a lot of little jobs done, like his master-tapes transferred to digital and things like that. It just turned into him saying "oh you can do this, you can do that". I ended up being the guy that could fill a lot of voids that he didn't have at his studio, so he gave me a lot of chance and let me mix and master... it's just been great. You talked about how you got into this; a lot of kids go to college and call themselves producers before they even sit in a studio, but it sounds like you got on at the bottom rung and made yourself so useful that you made yourself indispensable. Yes, I was very patient. I've seen a lot of guys come and go, and if you look back at the history of Steve's career, he doesn't really stick with the same guys for very long except musicians - he has some of the same musicians in his band and stuff like that, but I just felt that this was what I wanted to do. I had a really good opportunity, I've been able to produce projects on the side and I still do the things that I love, in addition to working on his projects, so I've made it work. You talked about The Beatles and Zeppelin, but of course with Steve's heritage do you feel the hand of Zappa on stuff when you're working on it sometimes? Yes. I hear Zappa's work in Steve's stuff a lot. We're actually working on a project right now where we're unveiling a lot of old demos and things so there's definitely a lot of Zappa in his work. This project is the Passion & Warfare 25th Anniversary which will be 3 discs and will include the original album remastered from the 1/2" 2 track masters, a 10-12 track album of material that was recorded between Flex-able and Passion and Warfare era which was unfinished and shelved which we are now finishing with fresh overdubs, then the third disc will be a DVD of old home videos from that era and also behind the scenes footage documenting the creation of this anniversary project. This, I believe, will be a sort of holy grail to the fans, as many see that record as his greatest work. I've been using Auto-Align on all the original masters and It's pretty amazing to hear a track that was already pretty great blossom even more. Let's talk gear. You said before this interview started that you'd been at Ocean Way and worked in the JJP Suite, and you've obviously surrounded yourself with some classic gear and some hardware. What makes you choose a plug-in? I've found that sometimes plug-ins have features that you just can't get in a piece of analog equipment, and there's definitely a process of listening and comparing because I'm very particular. For example, there's a lot of 1176 copies. Just because it says it is what it is doesn’t mean it is, it's got to stack up, so I do a lot of comparison in the studio. I've definitely been working with a lot more plug-ins these past few years, because I think technology is there and some of these developers recognize that it's about the quality. People will definitely keep using the software if it stacks up. So what drew you to Sound Radix plug-ins? What drew me to Sound Radix is that I’m looking for very obscure things that don't exist anywhere else. The first thing was Auto Align. To me, that's awesome because especially with Steve’s work, we use a guitar splitter and we'll run out to 5 or 6 amps at once, with room mics and all that type of stuff. We've been doing it for a long time so mic placement is second nature, but you have to really use your ear and listen, but sometimes, even still, it's not perfect, and so Auto Align is amazing, because when you get into the mix stage, those kinds of things really help. Since I've been using it, I can definitely hear it doing its job. If you've got 4,5,6 mics connected as it analyzes and works you hear it, it comes to life, it's almost like a three-dimensional thing in front of you. It blew me away! I remember the first time I used it on a drum kit, it was about 8 channels of drums and I used the snare as the alignment path and everything else followed the snare, I think I left the overheads out, but it was like I didn't have to work at mixing the track anymore. I didn't realize that what I was often doing was battling against phase issues. I like to really pay attention to things as I build the tracks and especially when I'm mixing; everybody wants to just start grabbing the reverb and delay, start tossing effects and having fun with it, but you've really got to prepare the tracks, and Auto-Align is a valuable tool for that for me. You want a tool you're working to work with you and not against, don't you? Sometimes we're offered what we think are solutions in our industry and they actually aren't solutions at all, they actually create more trouble than they solve. So Greg, many reading this are going to be just starting out; what advice would you give them if they want a career in recording? What I'd tell them is keep focused, be patient and always be as prepared as possible, because I've learned that it's easy to get overwhelmed, but if you take it one step at a time, then you'll get through it and you'll be very happy with the results. Just try not to stress out too much. Wise words from a engineer who has already achieved so much at the age of 30, but someone who knows that attention to the little things can produce such big results. You can find out more about Greg’s work at www.greg-wurth.com.